For most of us, New Year marks the time for changing season. Now is the time to get ready for the warmer temperatures. 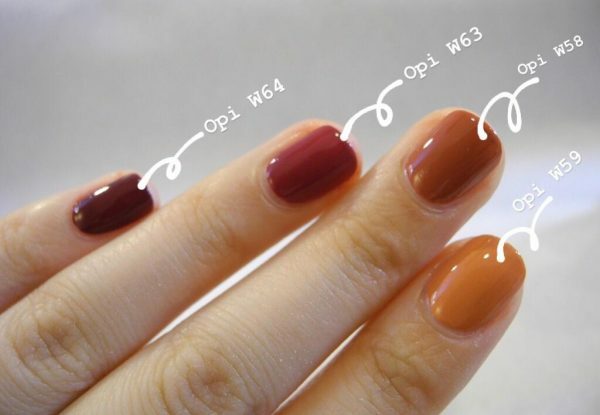 In the up-coming posts we are going to talk about three different warm nail ideas. The variety of reds are symbolic colors for new year. OPI-Washington D.C Collection has the loveliest earthy shades. Both the orange brown and the brown red shades can send anyone into the new year spirit. The earthy tones are very classy wile bringing out the fairness of the skin.